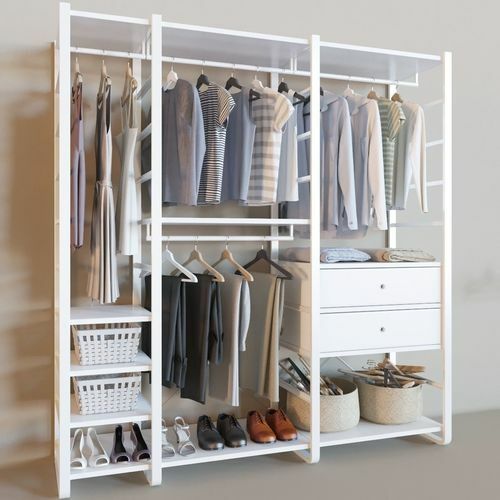 CLOTHING STORAGE FOR ANY SPACE You choose how to combine ELVARLI products, so you can create clothing storage that’s a perfect fit for your space and your style. ELVARLI is so adaptable you can organise a reach-in closet, walk-in wardrobe, corner turned clothing nook—pretty much any open space. Durable bamboo and light-weight aluminium make ELVARLI a great choice for storage all over your home and for small businesses too.